The Finer Things. 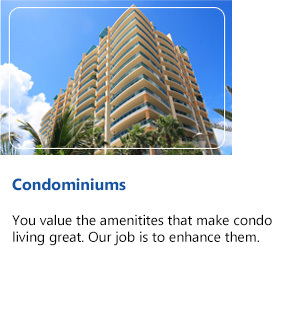 They’re yours for the taking with Affinity Management Services’ efficient, dedicated, and responsive community association and site services. Providing everything from vendor negotiations to expert assistance with board member elections, we’ll streamline your community association, not only relieving the burdens of the day-to-day, but also bringing big ideas to the table—and providing you with the resources to see them through. 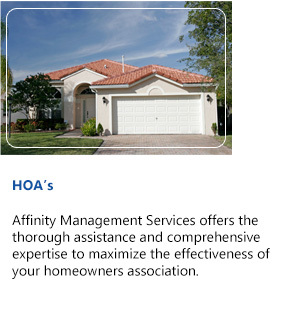 The owners of Affinity Management Services are passionate about what they do: they feel privileged to be working in a profession that allows them to positively impact their client’s lives. By bringing this positive spirit and unbridled enthusiasm to all aspects of their work, they influence the entire Affinity team. 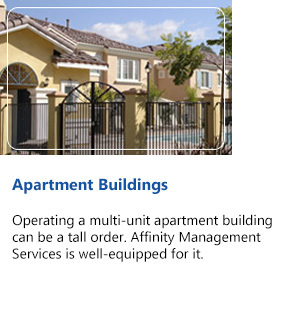 Whether the task at hand involves financial, administrative, or site services, all Affinity team members will approach it with excitement and energy—the passionate dedication that distinguishes Affinity. Interested in staying on top of community association news and developments? 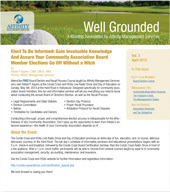 Fill out the form below to receive a free subscription to the electronic version of Well Grounded, our community association newsletter.